Interesting to see that 3440x1440 is becoming quite popular. completed rise recently and started shadow the other day. Major think i've noticed with afterburner overlay is how much LESS VRAM useage there is in Shadow vs Rise with ultra textures enabled. 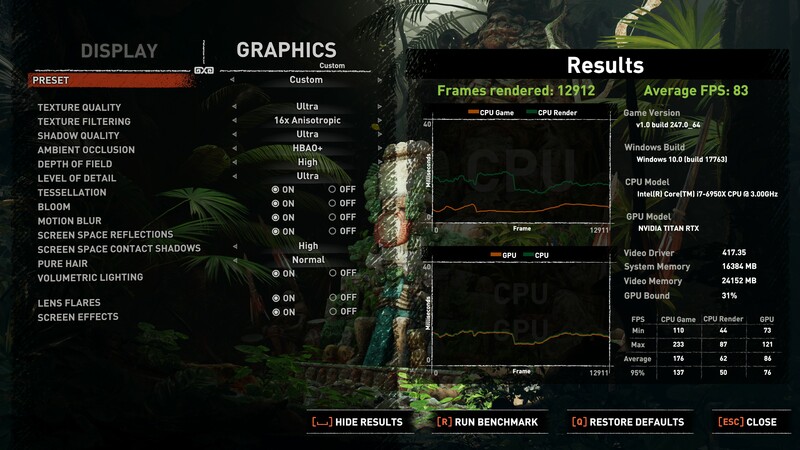 In Rise I couldn't run ultra with the GTX 1080 as it used 7Gb VRAM and had stuttering as evidently not enough left to buffer. in Shadow with ultra textures useage so far (in cave type areas) is only a bit over 5Gb and nice and smooth. We also need the clockspeeds too. It is not a problem, I have done a lot worse on other forums. Not bad for a laptop I think? I adjusted GPU curve, I really don't know what to say about core clock because it changes so often on a laptop! 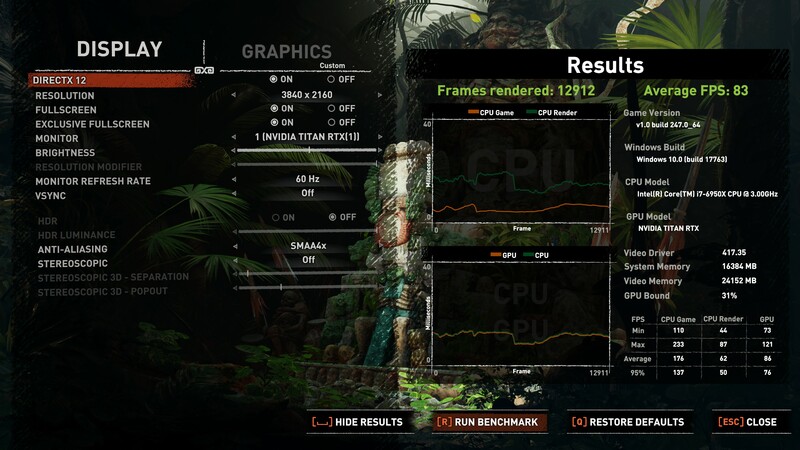 Forgot to try this with overclocked memory to see if I can squeeze a few more frames. Ok got an extra 3FPS lol. 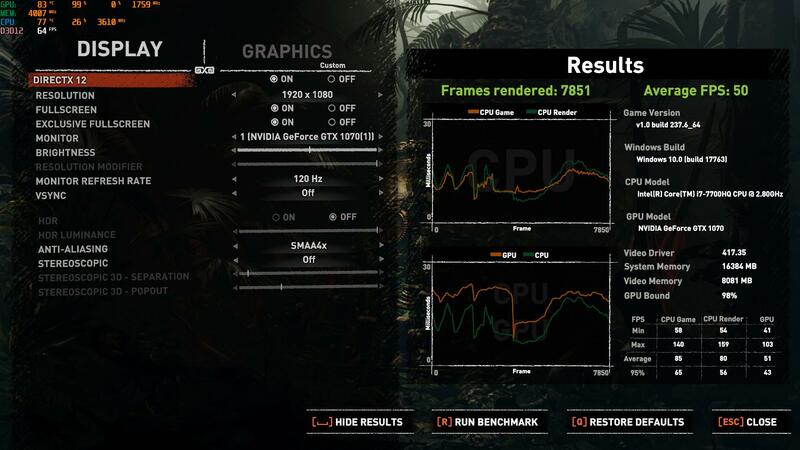 GTX1070 @ 1700/1800? / 4608 MHz according to MSi Afterburner. Was 54fps, ended up 53 this time, lost the screenshot before as PC crashed due to HDD issue. But here we are, 53fps for a laptop, that good? Upgraded to a Ryzen 7 2700 (stock), plus a modest O/C on the graphics card. Not quite sure what to put for the clock speed of the Ryzen on any of the tests. For example, it spent most of its time between 1.4 GHz and 2.8 GHz at 3440x1440 as it was so GPU bottlenecked, and it knew it.